Renovating a house is a huge project. It’s also very expensive and if you don’t do it right, you won’t be able to fix it for a long time again. However, people are afraid of renovating mostly because of the stress it involves and the strain it puts on the entire family. Hear some expert tips on how to survive a home renovation while not going broke or causing a rift in the family. Before you start renovating your home, you should definitely create a budget that will tell you precisely how much money you can afford to spend. This will help you organize your time and resources, not to mention entice you to look for smarter solutions. This way, you will avoid overspending and going broke after the renovation and actually saving up some money. Some people like to go shopping for new things for their home without previously doing some window shopping and researching some options that work better. This causes them to lose money and spend way more than expected. Don’t make this mistake and do some research first. If you find a lamp that you like, look for cheaper versions either online or in your local stores. For decorations and small home items, you can always go to the flea market or second hand shops. This way you can get inexpensive items that have a lot of character and charm, not to mention quality. For some of the items that you only change rarely, you might want to opt for quality rather than price, and always keep it in the first place. For example beds, sofa’s, chairs, tables and so on. These items need to be durable. Rushing your home renovation is a terrible choice. This is a difficult job that requires a certain amount of time if you want it to be done properly. So, rushing it will only leave you with bad work that cannot be fixed. Take it easy. Prepare for it to take longer than you expected. It’s normal and happens sometimes, but if you hire a professional, you have nothing to worry about. Details are what will make your home feel and look good. As mentioned, details don’t have to be expensive. These are things like art, candles, flowers, vases, lamps, bathroom mats, nice towels and shelves etc. The point with details is to make them interesting, yet uniquely coherent with your home. You can put decorations of the similar style in one room and then different ones in another room. Choose a style so that reflects your own personality and make you feel good. Make sure that you don’t overdo it because you don’t need your shelves full of things. It’s way better to have a bit of empty space than to have a cluttered home. “It can be hard to do everything at once. You don’t have any room in your home and chaos is everywhere. However, you might be able to do this with much more ease if you take it one room at a time. This way, you’ll have more time to deal with each room separately and create more order in your life,” says Fiona Jenkins, lifestyle editor at Essayroo. 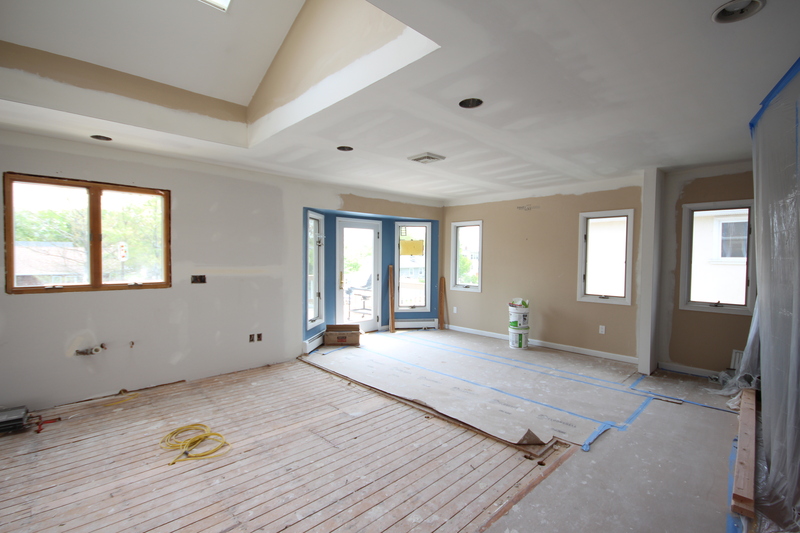 Prioritize your projects to figure out what order you are going to do your renovations. Is your roof in need of replacement since it is leaking? This would come before updating your kitchen just because you do not like the cabinets. You can plan carefully and take your time. It’s much easier and less stressful that way. Planning is crucial if you want to get everything right. Without it, you will get lost and forget what you wanted to achieve. Organization is the only solid foundation to renovation. This way you won’t have any unexpected expenses or spend more time than you need to on the renovation. However, you should also plan for that. What if you need more time? What if you need more money? “Paint could make your room look awful or amazing. It’s all in the choice. Light colors can make a small room look bigger. But be careful because you don’t want it to look sterile or hospital-like. Bigger rooms can also be light but some color might make them look more welcoming and warm. Opt for brighter colors like yellow or peach. Then again, you can never go wrong with simple white,” says Michael Green, writer at Academized. Home renovation requires hard work and it can be stressful. However, if you are smart about it, you will have no trouble creating the perfect home for yourself and you will have a lot of fun doing it. About The Author: Grace Carter is a lifestyle blogger at Boomessays services. She writes about home renovations, real estate and careers. Also, Grace teaches business writing at UKWritings academic website. What Determines How Much A New Bathroom Will Cost?